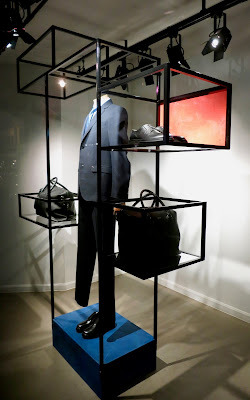 It seems that even some of the luxury brands are cutting corners right now with some very minimal schemes out there. 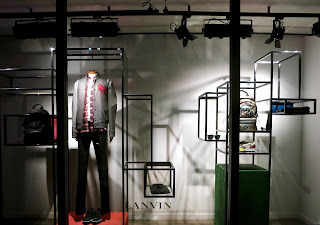 Lanvin (at their Paris store at least) usually instal quite exciting schemes with a lot more energy although it seems that London is just not getting the love and attention right now. As we mentioned in our post yesterday, we are seeing a lot of these kinds of structures; possibly a sign of some tough times for retailers we guess?